It felt like the market shifted up another gear on Saturday. Some strong results were seen across Melbourne, the REIV reporting a 79% clearance rate from the 823 properties sold (down 200 from the same time last year). With more quality properties auctioning next weekend, we expect to see similar results continuing. 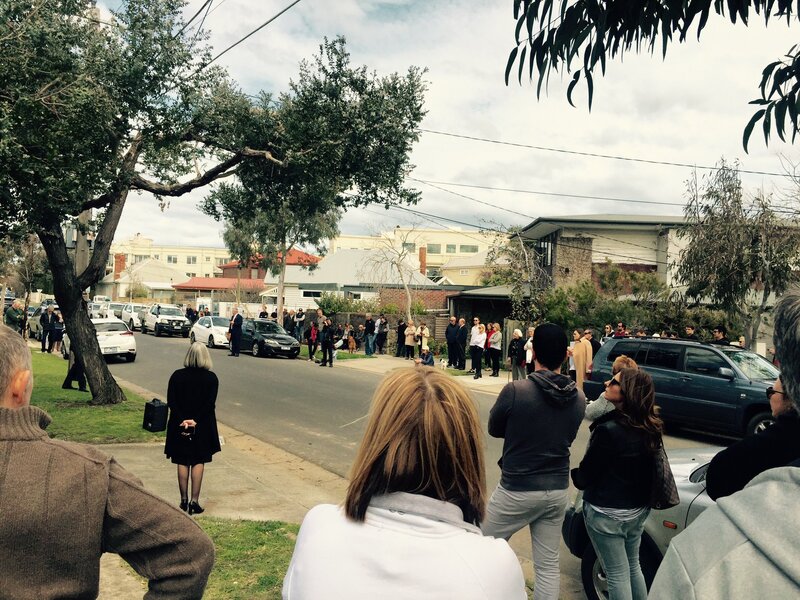 Quite a big crowd lined both sides of the street for the auction of this property on prized Orlando Street. Paul Bond was our auctioneer and after a succinct preamble, was rewarded with an opening bid of $1.9m from Bidder 1. Bidder 2 was quick to enter the fray and a two-way battle ensued – the property was announced on the market at $2.135m. Bidding continued rapidly, with increments changing dramatically with each bid – $2000, $1000, $500 – Paul did a wonderful job keeping tally! At one point, the crowd let out a collective sigh when a bid was tabled at the eleventh hour after it seemed the home had sold. Bidding continued and not long everyone cheered and clapped when the hammer finally came down at $2,439,500. I along with around 100 others turn up for this mid-afternoon auction in Armadale, and there was a hint of Spring in the air. Auctioneer Justin Long asks for an opening bid and then promptly kicks things off with a vendor bid of $2.5m. Not long after three bidders entered the fray with measured bidding. At $2.795m the property passed in and then sold afterwards for $2.865m. With a lesser quality version on bigger land in the street selling for $2.76m about 8 weeks ago, the market for offerings such as this looks to be holding up well. Robin Parker took centre stage in front of number 17 Bayside Crescent and, after addressing the crowd, he called for an opening bid. $1.45m came from Bidder 1, whilst Bidder 2 came in shortly after with a $10,000 rise. Bidding was fast and strong, and Robin headed inside at $1.6m to refer to his vendor. Bidder 3 joined the action upon his return, and at $1.73m the home was on the market. 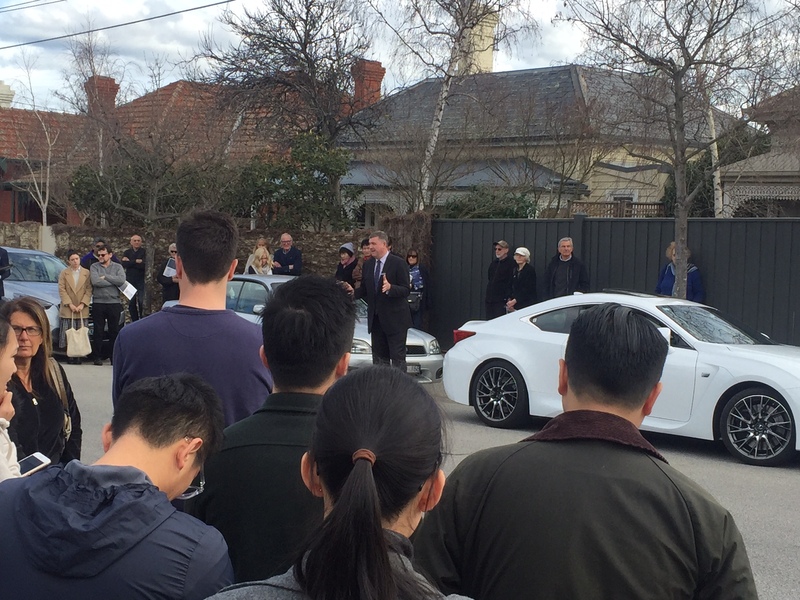 Bidding between two of the bidders continued until the sale price of $1.88m was reached, much to the delight of the big crowd who cheered and applauded the new owner.